After a whirlwind of a week with my parents here trying to help us get some projects completed, I was finally able to sit down and have some fun crafting with one of the new holiday kits from Hazel and Ruby which can be picked up at JoAnn Craft Stores. 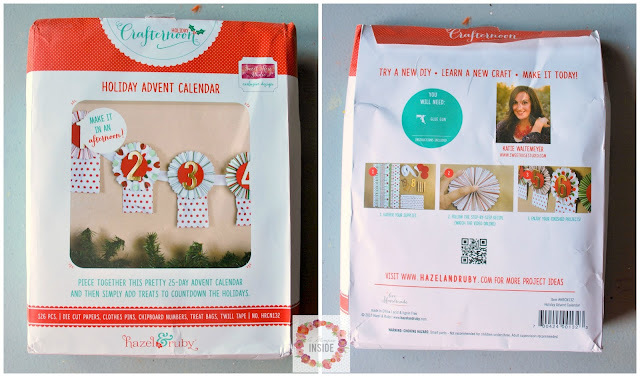 Many of my blogging friends were able to create their own kit for the holiday line and I was able to play with the kit that my friend Katie from Sweet Rose Studio created which was a Holiday Advent Calendar. 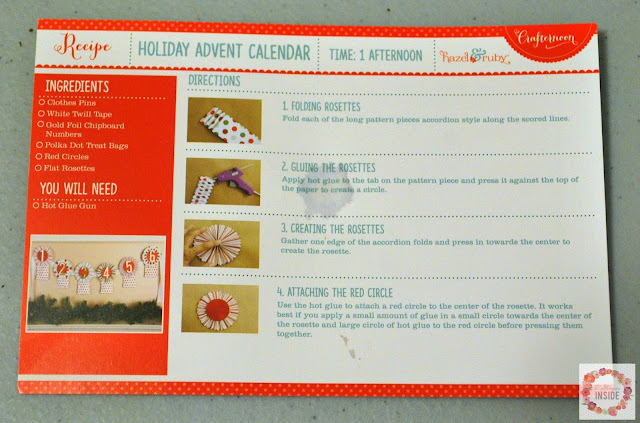 The kits have the finished product on the back and then a list of items you would need to complete the craft, which won't be too much since everything you need to make the craft comes in the kit itself. When you open you kit, all the supplies are there for you. How great is that?! 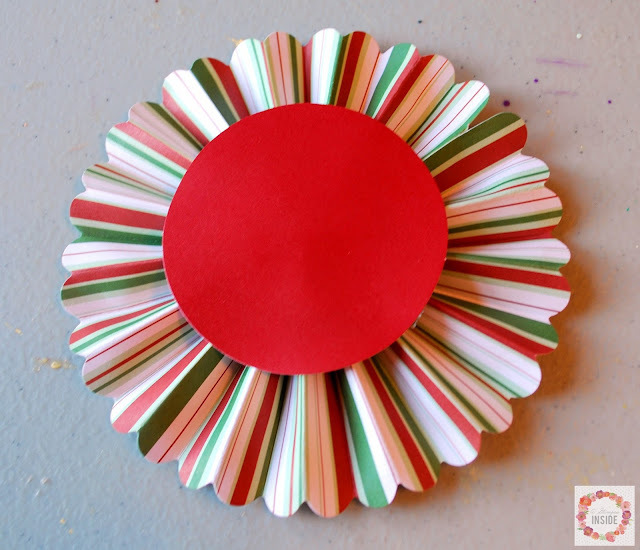 There is a little card included as well that has all the directions explaining how to create the craft. I was able to whip up the calendar rather quickly. And here's how it went. I started by folding the paper accordion style. The paper is already scored for you so it is fast. Glue the ends together and then press it down to created a rosette. Glue the red circle provided to the center to keep the rosette flat. 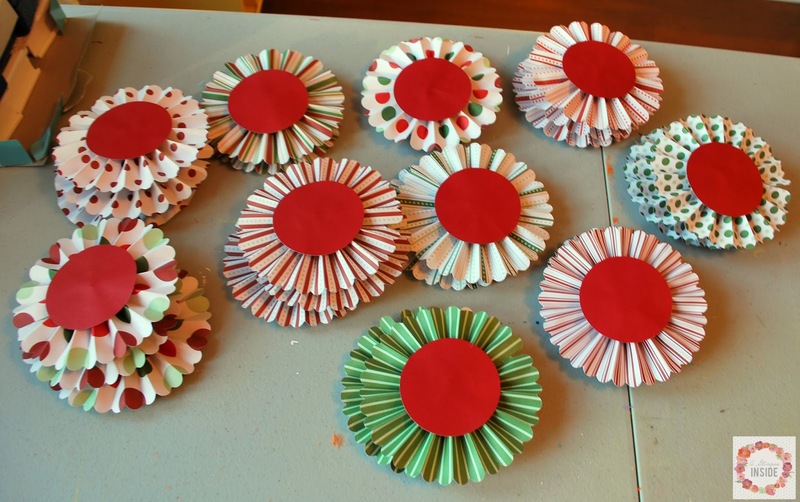 I decided to fold and glue my rosettes all at one time and then I separated them into groups. 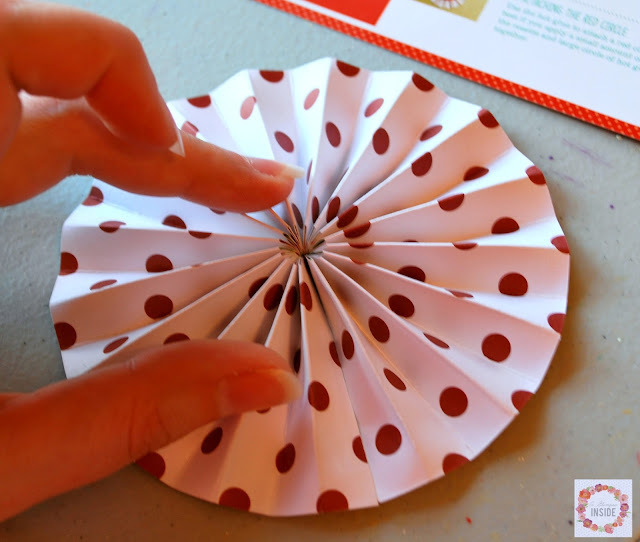 They are double sided so I would make 3 of one pattern and then 2 of the opposite side. 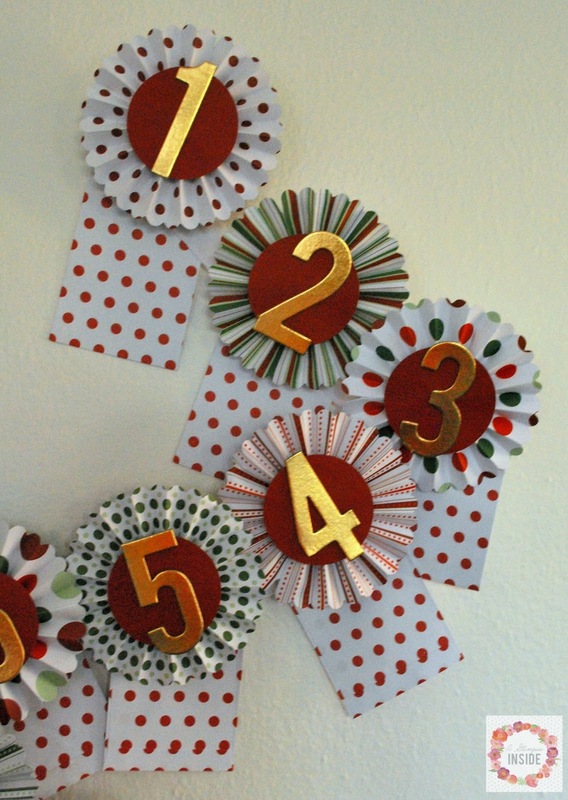 Time to glue on the gold chip board numbers to the circles for each day of your calendar. 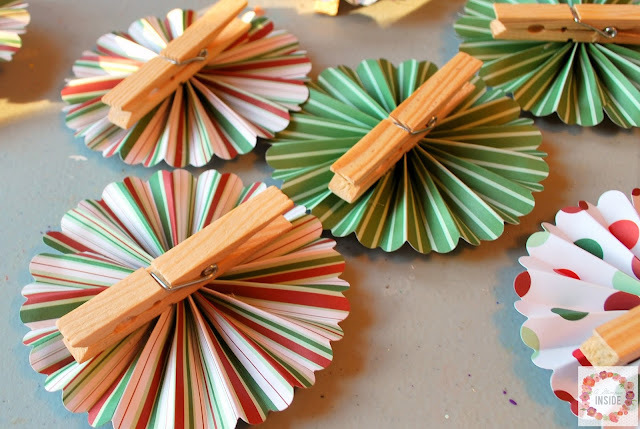 Then just glue some clothes pin on the back and they are ready to go! 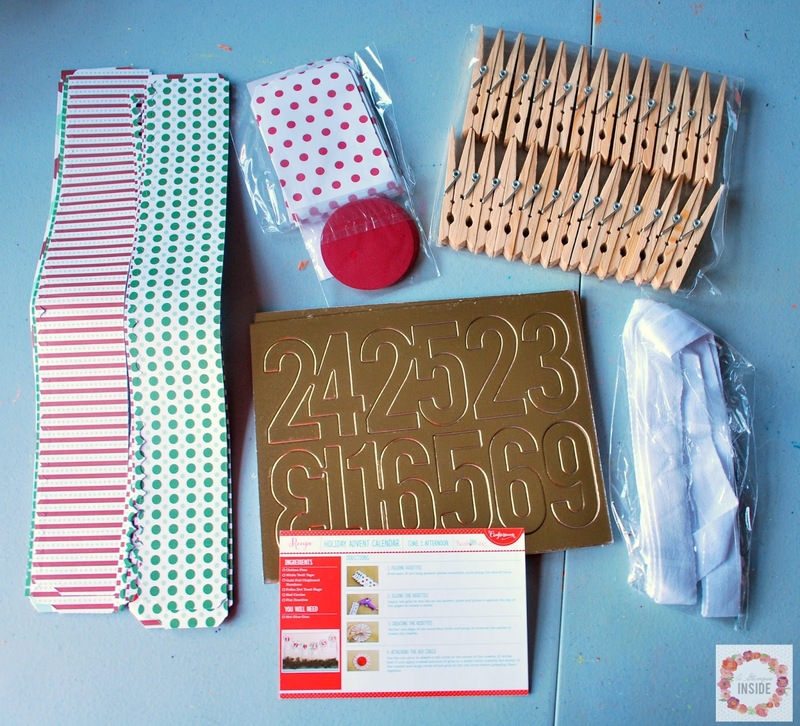 The kit also comes with these cute polka dot bags to place your special advent treats in along with a ribbon to hang them on. 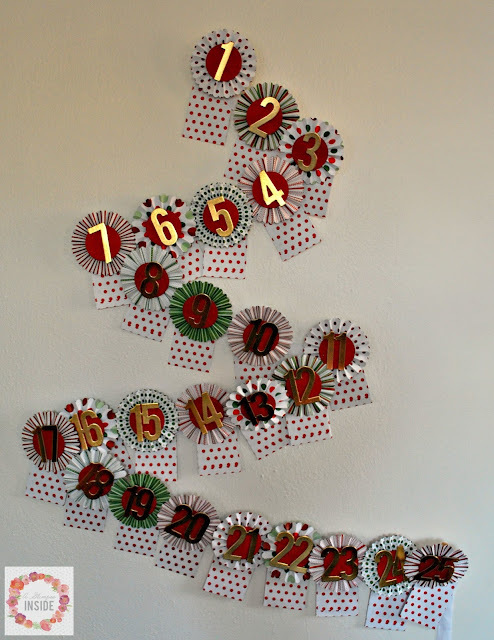 I thought it would be fun to place it on the wall like a tree so I just zigged zagged the ribbon back and forth then just placed everything on the ribbon. 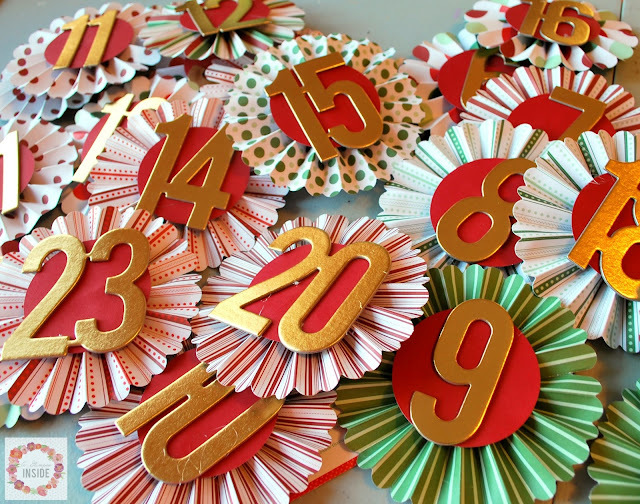 I plan on putting in some candy, stickers, and small little things the girls would enjoy in the bags counting down til Christmas. I think they'll really enjoy counting down this year. 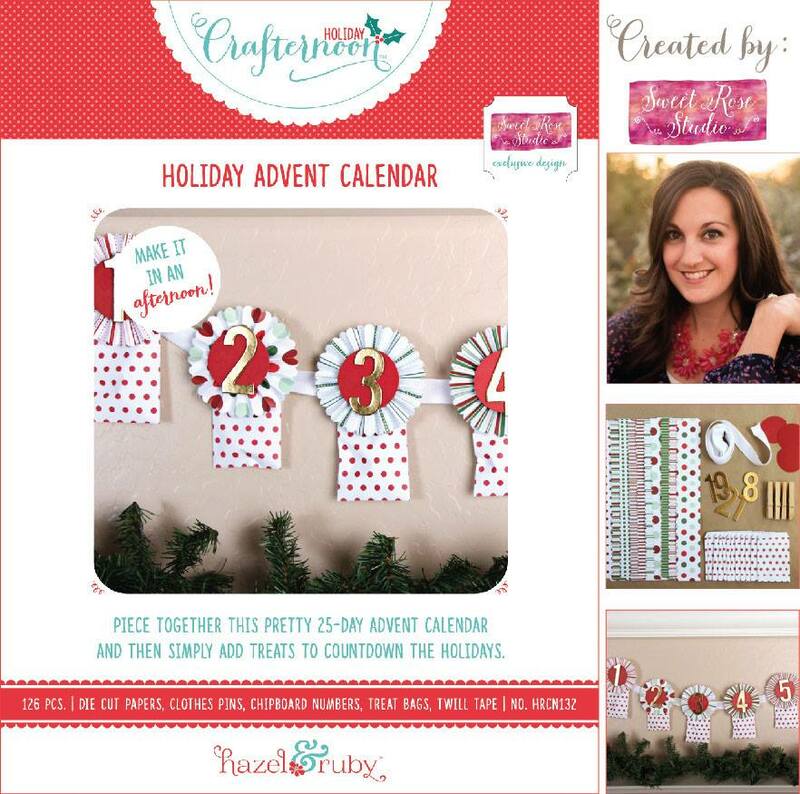 Be sure to stop by JoAnn Craft Stores to pick up your own Hazel and Ruby Advent Calendar craft kit or just check out the other kits to see what you may want to create.